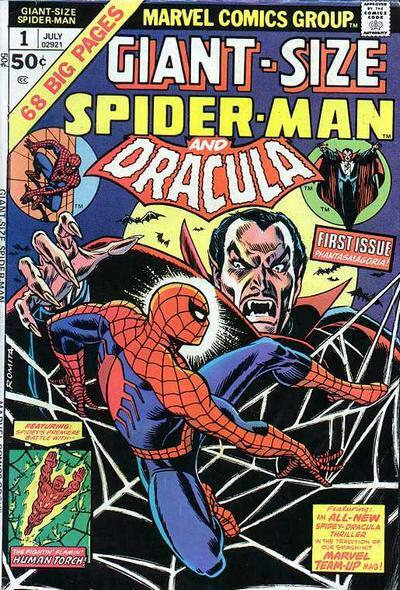 Spider-Man vs Dracula (Giant-Size Spider-Man 1, 1974)! | Magazines and Monsters! 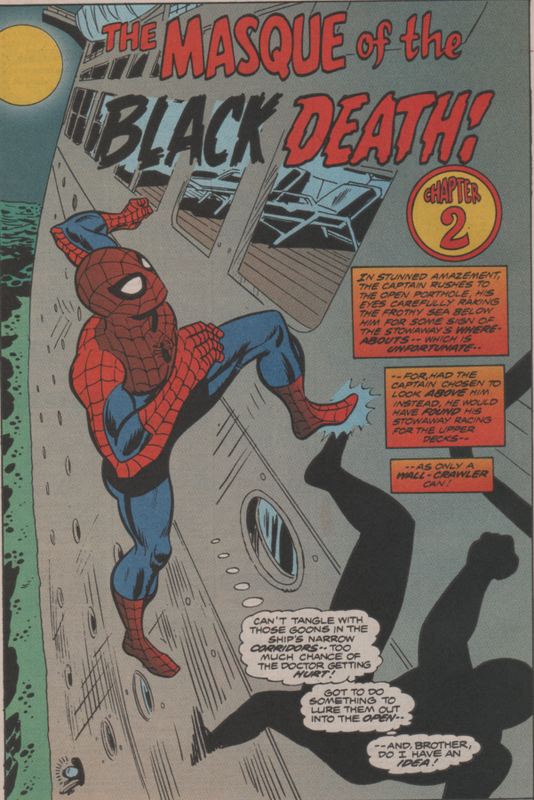 Spider-Man vs Dracula (Giant-Size Spider-Man 1, 1974)! Back in the 1990s, there was still a good bit of material being reprinted from decades earlier. 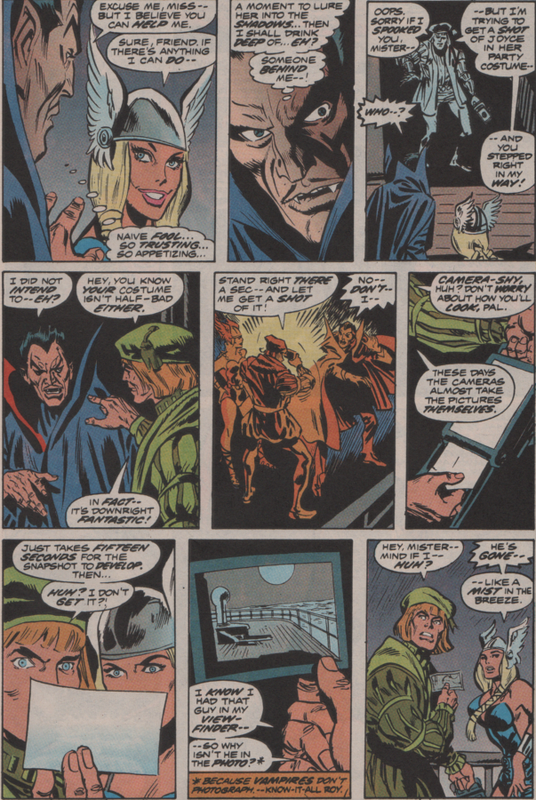 Case in point, Marvel Tales ran until 1994 (starting in 1966)! Almost thirty years of reprinted material, and that feat is nothing short of…dare I say spectacular? There were also one-shots, oversized books, etc., including this one from 1993/4. 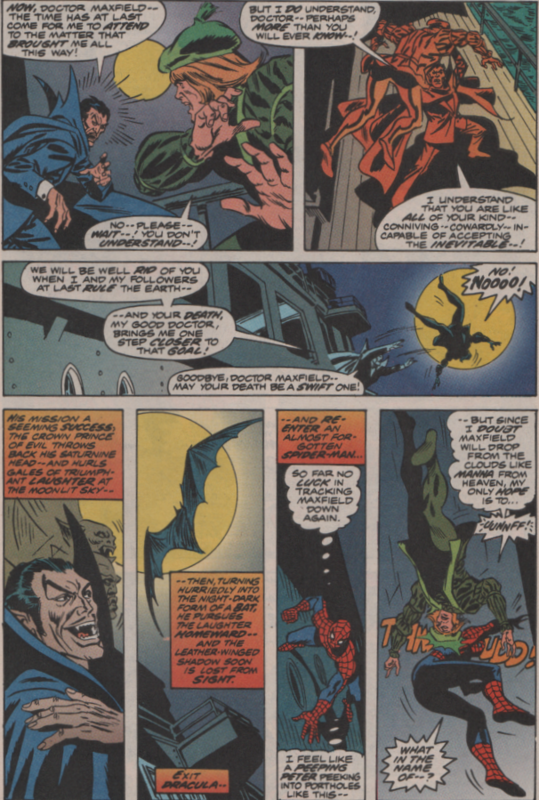 “The Spider and the Bat” recounts the first ever meeting between the 1970s king of monsters, Dracula, and your friendly neighborhood Spider-Man! 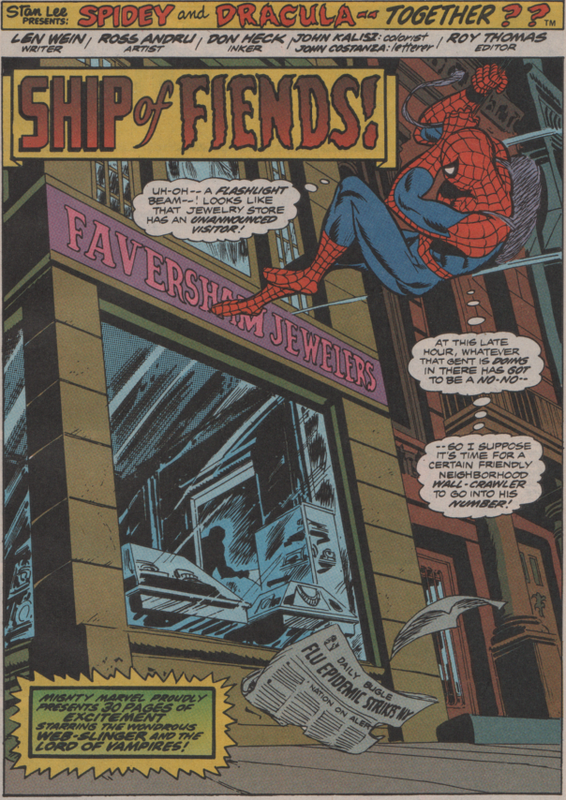 The cover for the original book is pretty good (John Romita, cover at the very bottom, borrowed from the interwebs), but the reprint isn’t the greatest. I’m not the biggest Joe Mad fan, (so keep that in mind) but I can’t imagine too many people thinking this is one of his (or anyone else) best. 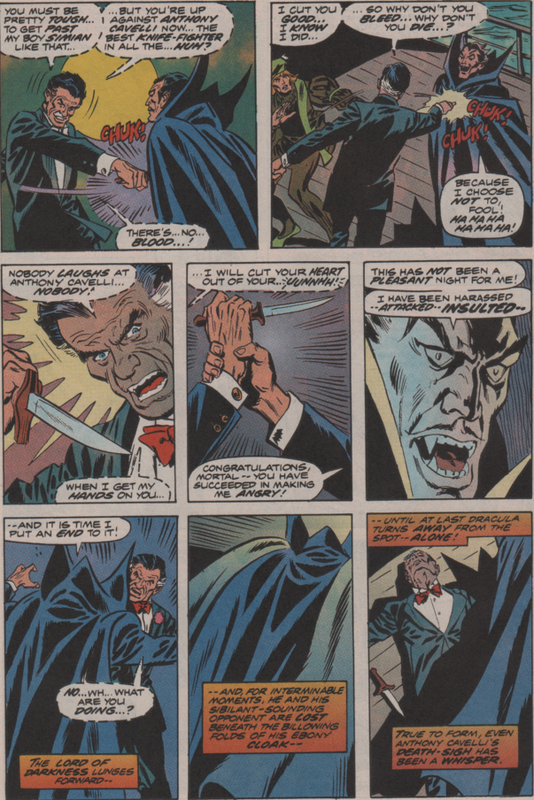 The story is by perennial comic book great, the late Len Wein. The man was seemingly one of the nicest men to ever grace the industry ( I met him once at a NYCC and he was cool), and created some very good content in his day, plus was editor on some of the best works in the industry. 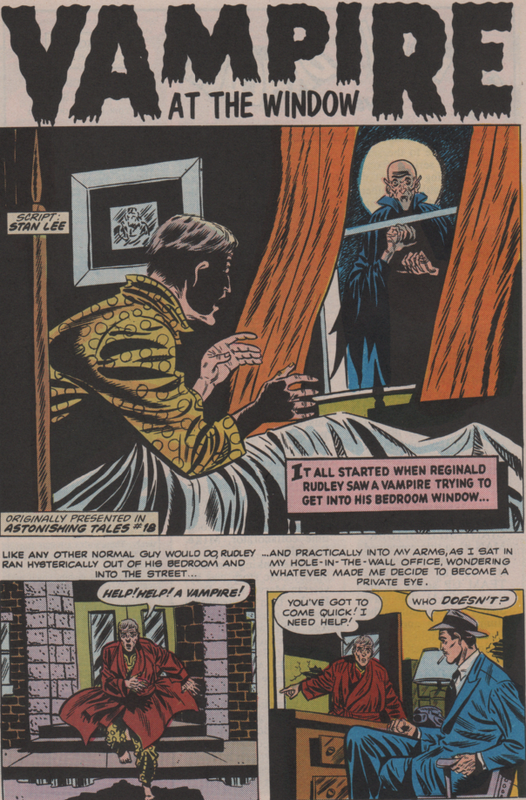 For the artistic duties, we have the team of Ross Andru (pencils) and Don Heck (inks). A solid team as far as this book goes for sure, and they tell a great visual story together. 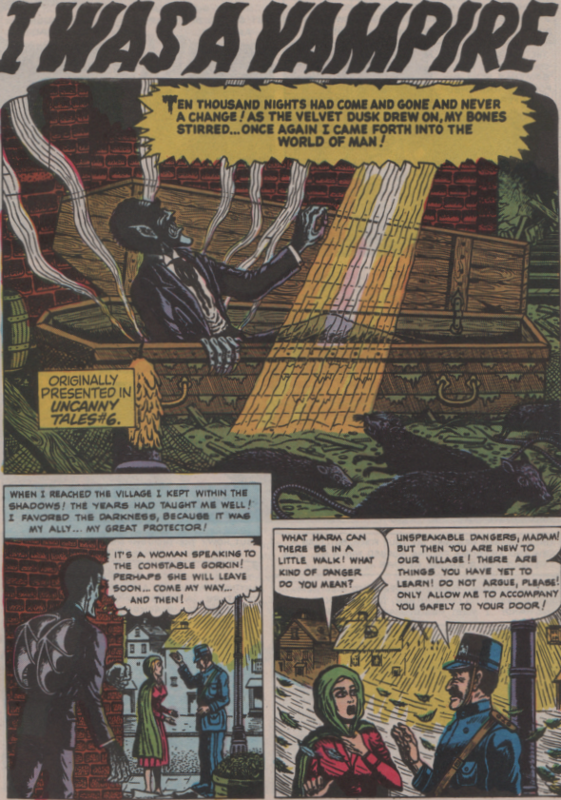 John Kalisz (colors) John Costanza (letters), and Roy Thomas (editor) round out the creative force behind this cool book! 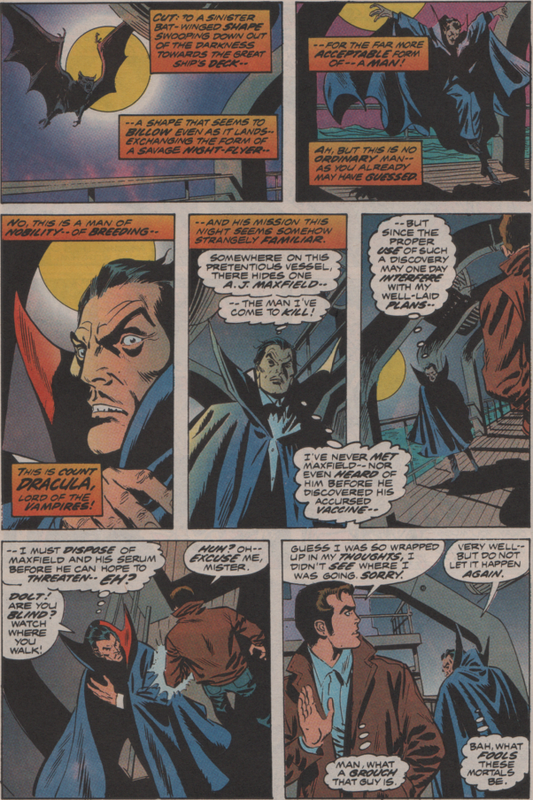 There are also two reprints from the Silver Age in the back as well and both are about vampires!